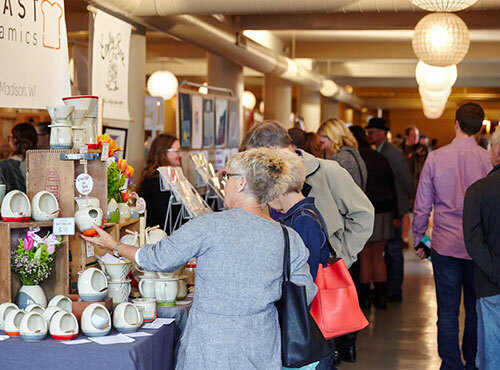 Our upcoming Holiday Show will take place November 16-18, 2018 at the spectacular Artifact Events here on the north side of Chicago. Artifact Events offers two versatile spaces for special events such as weddings, fundraisers, film and photo shoots. The recently renovated spaces include high ceilings, beautiful natural light, exposed beams and hardwood floors. The outdoor area is a secluded courtyard for you to enjoy as part of your ceremony or cocktailing space. 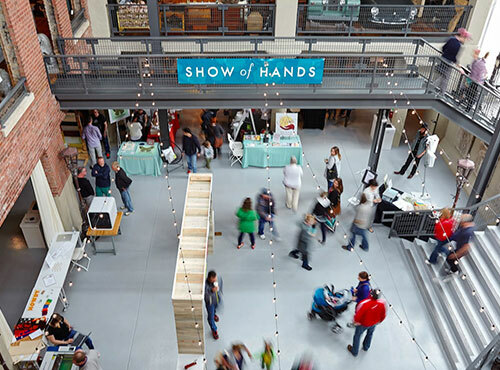 Attending SHOW of HANDS is a great chance to check out this amazing space in person... and get a little local shopping done while you're at it! 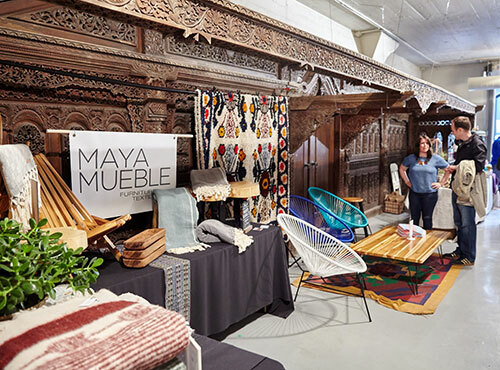 This expansive antique store & architectural museum shares its space with Artifact Events. This incredible building is located on Ravenswood Avenue (just south of Montrose) at the intersection of three of Chicago's most vibrant neighborhoods: North Center, Lincoln Square and Ravenswood. With nearly 80,000+ square feet of retail and event space, this venue is truly a Chicago icon that you must see to believe. Ample evening and weekend street parking is available, as well as public transportation within steps of the space.